Our taxis vary in sizes, makes and models. All our taxis are fitted with a state of the art satellite system which enables the vehicle to be located at any time. They are also branded with the company logo and details. However this information can be removed upon request, as is done when customers book for weddings and corporate events. No vehicle is older than five years; accordingly our fleet of taxis is continuously updated. All the vehicles are either licensed by Wycombe District Council or registered with the Ministry of Transport under a public service license. Our taxis consist of various makes and models suitable for any occasion. We have Mercedes, Jaguars and BMW�s which are suitable to cater for weddings, corporate events and any other special events. We also have the more day to day cars consisting of VW�s, Audi�s, Toyotas and Volvos. These range from cars with large capacity seating as well as estate cars which help with extra luggage. 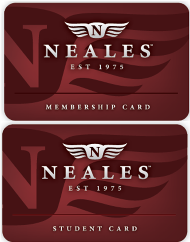 So whether you need an elegant car for attending the Chelsea Flower Show or whether you simply need a standard car to do the weekly Sainsbury's shopping, we at Neales can meet your demands. When our taxis arrive at the pick up destination, the client is alerted by a ring back. There is no waiting charge for the first ten minutes and our drivers are always happy to assist clients to and from the taxi. We can also provide the taxi�s registration details and the driver�s number for the client�s peace of mind.